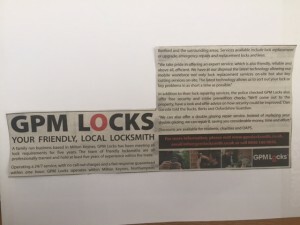 I started the planning and organising of GPM locksmiths over nine years ago and we’ve been operating for about 8 1/2 years. It’s a great feeling making something from nothing. When we launched 8 1/2 years ago the aim was to get one or two jobs a week! I would carry on working in property maintenance and slowly build up the locksmiths side. Very soon after launching I had to give up the property maintenance and concentrate purely on the locksmiths work. We did this through different means of marketing some more useful than others. It was very important to make sure we had the basic ground work done before even operating. For example a website with a logo is a great start. On our launch day we started with Google ad words. Google ad words is a great way of getting instant attention from possible clients. The downside of ad words is that it is very expensive. 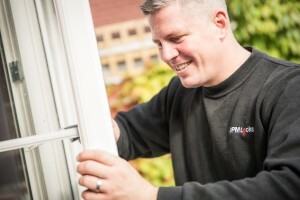 In fact for locksmiths it is one of the most expensive forms of marketing you can pay. Anything from £3 to £10 a click meaning every single time someone clicks on your ad on Google you’ll be charged the relevant amount. Over the years I have fine-tuned what is good and what is bad marketing spending huge sums of money on the directories was a mistake. Having a small affordable ad would be a good place to start. Some people may say marketing a small business is the same no matter what type of business especially if it’s a trade. Your marketing could be the same as a plumber or a carpenter but I would disagree. The thing is with locksmithing, most of the time people want it there and then. Yes there are people that recommend us through social media such as Facebook and yes there are people that keep your business card and recommend you to a friend but a lot of the time they will jump on the phones, tablets, laptops and they will call the first person they see. Because of this I find marketing such as a monthly magazine to be not a great return on investment. Marketing such as this must be looked upon more as brand awareness and not instant return for your money. This goes the same for newspapers. A small weekly ad might not get you work every week but over time the brand awareness will get you your return for investment. I found a weekly ad works better than a monthly ad on this type of marketing. Someone reads the newspaper every week and sees your ad every week. 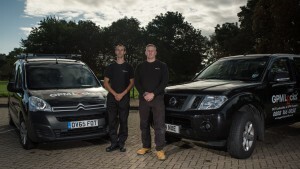 They don’t need a locksmith there and then but six weeks later they need you. Because you didn’t get any work in the first six weeks you decided to pull the add. The customer turns to the page to find your ad that is been in there every single week. They can’t remember the name of your company they just remember seeing locksmiths, but can’t find you! You lose the work! Drip feeding your customer base is a great form of brand awareness and playing the long game at marketing. After some time you should build up a customer database. I would always recommend from the beginning to try and use some sort of customer relationship management system even if you just have a basic database on your account software. Something is better than nothing. After time contacting via emails, letters etc to your previous customers to generate more work is a must. I don’t do this very often but around twice a year. But every month is also ok in some sort of monthly news letter or monthly offer. And this is the most affordable and effective form of getting new work. So for example you charge £50 for a job and the Gross profit after the parts etc. comes to £30 but you spent £5 on the click on AdWords. Your profit is £25 but if you’ve managed to get business from a previous customer just from sending an email or by having a conversation your profit goes up by £5. Do this 100 times over a year and you’ve earned yourself and extra £500 over the year. Marketing is such a massive subject and I would never claim to be an expert. All I know is over the last eight years we have spent thousands of pounds on marketing and each year we try and streamline on marketing to be more effective. I will leave you with this advice. Don’t believe everything you hear. There will be many people that will offer you the world. They will be Google partners and they will be able to get your website to page one of Google and make you rich! And I’m sure some would be able to but at a large expense. My advice would be to learn yourself. If you’re not very tech minded go on a course, ask a friend. But look at it yourself. We now add the content to our website and we took our own website which had slipped to page 2 of Google to the top of page one. Of course there will be times where you need more expertise. But a good 90% of everything can be done in house. Only when you have no time left in the day should out-sousing be considered. Keep your overheads down as much as you can and keep pushing forward! I hope this information can be of some use to some businesses starting out in the locksmiths world. As for GPM Locks. We continue to grow and I’m nowhere near my end goals but we will continue to grow and improve.